This is a small app I developed using Cycling 74 Max. 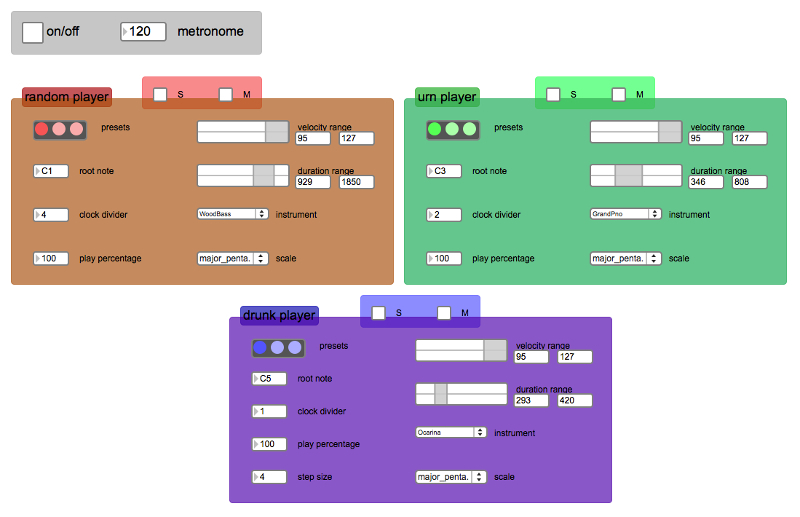 Using MIDI information and three different randomization algorithms, it can generate random melodies constrained to a certain musical scale. It’s quite primitive, but it’s possible to get some pleasant results by tweaking the parameters.